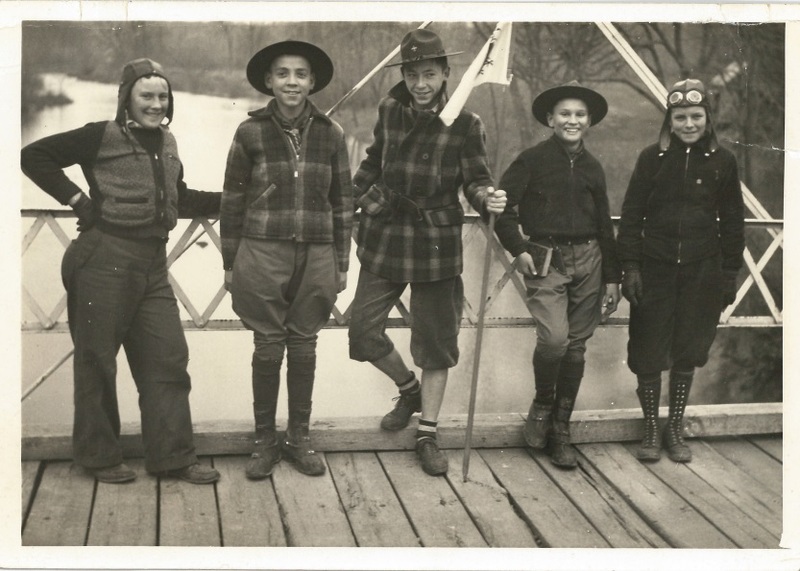 In 1941 five members of Edinburg Virginia’s Boy Scout Troop 54, called the “Hawk Patrol,” took this picture on the steel river bridge east of town during a scouting adventure. Pictured from left to right Douglas Hawkins, Frank Wilkins, William Davis, Stanley Getz, and Ernest Coffman. Scouting has been a popular past time in places like Edinburg for over 100 years. The town’s first Boy Scout troop was organized in 1912. Early activities were held at Narrow Passage and Luray. 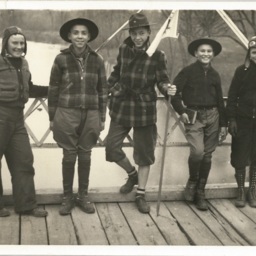 Over the decades the boys and their leaders would attend countless hikes, camps, regional assemblies, and special events like World Fairs and National Scout Jamborees. The troops have been sponsored by various organizations including the Methodist Church, the American Legion, and the Lions Club. Their efforts to support this organization have helped the various scout troops educate many local youth, including many that became prominent citizens and community leaders. Edinburg Hawk Patrol, Troop 54, 1941, William Coffman Collection, Truban Archives, Shenandoah County Library, Edinburg, Virginia. Unknown, “Edinburg Hawk Patrol,” Shenandoah County Library Archives, accessed April 22, 2019, http://archives.countylib.org/items/show/11497.